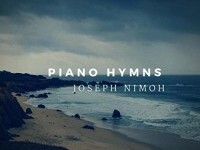 Pianist and Composer Joseph Nimoh, create music that is delicately crafted to inspire hope and bring healing to his audience. Joseph’s music incorporates elements of several genres, including classical, jazz, and gospel music. His music has been described as emotionally-rich, soothing, and peaceful. One reviewer had this to say after listening to his music, “A gentle, embracing warmth runs through all of this music and simply makes you feel good – or at least better! Joseph began playing piano at age 11 at his mom’s church. He later studied piano performance at the Berklee College of Music in Boston, Massachusetts. Primary among Joseph’s influences are Oscar Peterson, George Duke, Keith Jarrett, Yellow Jackets, Dino Kartsonakis and Richard Smallwood. He has released three albums; Quite Time in His Presence, Living Waters, Reflections, Piano Hymns, and Conversations on Piano. 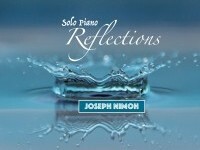 For his new album, Joseph has created a masterful set of unique pieces befitting a musician of such diverse background. 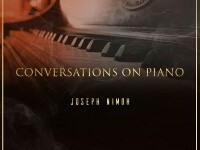 Blending elements of classical, jazz, and contemporary music, Conversations on Piano is a stunning collection of solo piano melodies soaked in genuine emotion. This beautiful music relaxes the mind as it gently soothes and uplifts the spirit. All 20 songs are played elegantly, and with a great deal of grace, creating a perfect atmosphere for reflection, meditation, and prayer. Joseph’s music can be heard on Apple Music, Pandora, iTunes, Amazon, Magnatunes, Enlightened Piano Radio, Calm Radio, Aural Awakenings Radio, Newage Stars Radio, Spotify and many digital outlets.